Most of us know someone who has been diagnosed with diabetes but we may not fully understand the specifics of the disease. Those who have diabetes know how important it is to understand their body, pay attention to their diet, take regular tests and to keep an eye out for warning signs. Let’s look at some important aspects of Diabetes and how we can prevent this disease from occurring. Diabetes mellitus (MEL-ih-tus) or simply diabetes is a group of diseases characterized by high blood glucose (sugar) levels that result from defects in the body’s ability to produce and/or use insulin. There are two main categories: Type 1 and Type 2. Another known form is Gestational Diabetes. Type 1 Diabetes is usually diagnosed in children and young adults. With type 1, the body does not produce insulin. 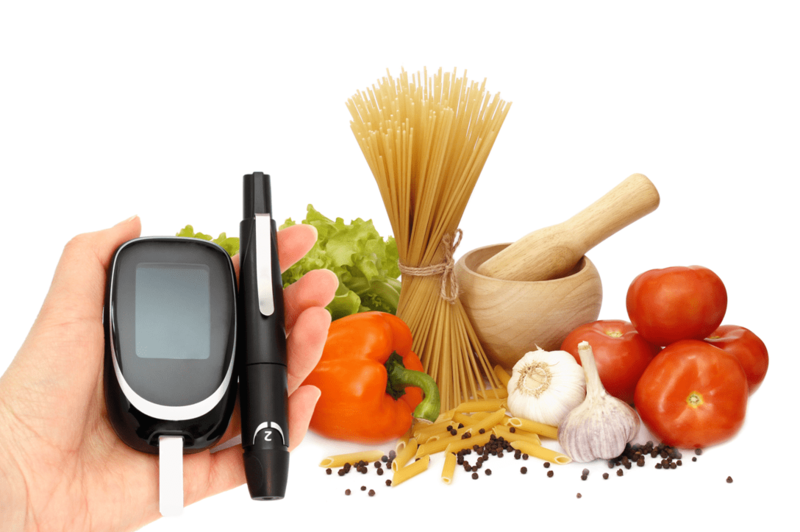 Insulin is a hormone needed to convert sugar, starches, and other foods into energy needed for daily life. Those who have this type need insulin therapy and other treatments in order for the body to function correctly. Type 2 diabetes is the most common form of diabetes. In this case, your body produces some insulin but doesn’t use it properly. This is called insulin resistance. At first, your pancreas tries to make up for this by producing extra insulin but over time it isn’t able to keep up with this demand and in turn blood glucose levels become abnormal. Some people with type 2 can control their blood glucose levels with healthy eating and regular exercise. Others may need additional medications that help to meet target blood glucose levels. Pregnant women who have never had diabetes before but who have high blood glucose (sugar) levels during pregnancy are said to have gestational diabetes. While the cause of gestational diabetes is still unclear, studies have suggested that insulin resistance may play a role. Gestational diabetes starts when your body is not able to make and use all the insulin it needs for pregnancy. Since the glucose can not be converted into energy, it builds up and causes high levels in the blood (hyperglycemia). The severity of the symptoms and the rate at which they develop may differ depending on which type of diabetes you have. The pictogram below shows the main symptoms of diabetes. Early detection and treatment of diabetes can decrease the risk of developing the complications of diabetes, which is quite extensive. From skin and eye complications to kidney and heart problems, diabetes takes a toll on the entire body if left untreated. Find out if you are at an increased risk for having type 2 diabetes by completing a fast and easy Diabetes Risk Test. Diet: This entails following a healthy eating plan rather than a restrictive and difficult program. Regardless of which type of diabetes, this is a vital part of the treatment and management of diabetes. Diet on its own may even be enough by itself to control type 2 diabetes in some people. For those with type 1 diabetes, food intake and insulin injection balance is an important key to properly control blood glucose levels. Insulin: People with type 1 diabetes will have to take insulin by injection while only some of those with type 2 diabetes are treated this way. Injection of insulin is the only effective way of getting insulin into the bloodstream. It is injected into the skin by either needle or jet injector. For more information visit the Bermuda Diabetes Association or the American Diabetes Association website. People’s Pharmacy provides a great book to help you better understand diabetes as well. Pick up one today on your next visit to the dispensary counter!